The Rubber Finger Brush Mat by No Trax are made from tough SBR rubber that will stay flexible even under extreme weather circumstances such as low temperatures. 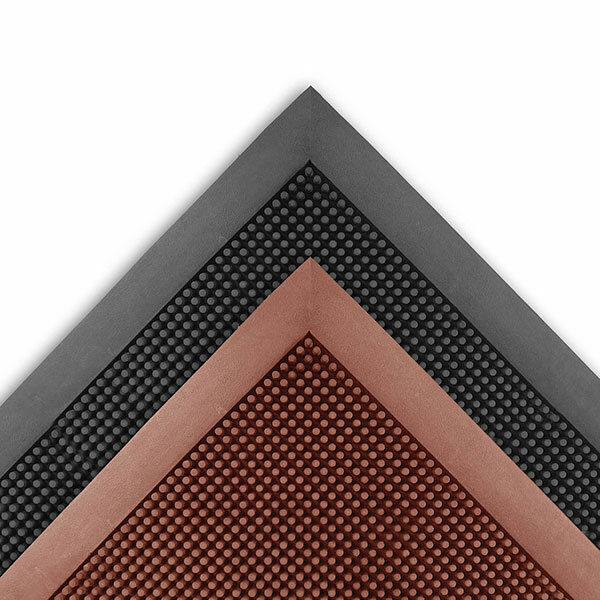 In addition to the flexibility, these mats feature thousands of tough, flexible rubber fingers that make sweeping shoes clean easy, all while suction cups on the underside of the mat help to minimize shifting on an otherwise slippery surface. 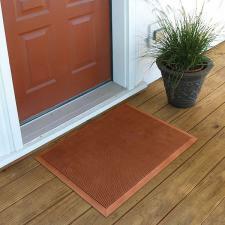 Molded dam borders keep moisture snow and dirt contained in the mat and away from your floors! Now available in Black and earthtone Terra Cotta, the Rubber Finger Brush Mat makes for the perfect year round outdoor entrance mat for commercial and residential applications. 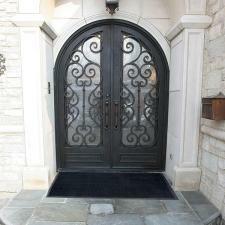 Outdoor entrances of schools, municipal buildings, plant entrances, construction traffic area.